The Vancouver Condo Buzz » From $260,900! THE PARK Metrotown Burnaby Condo High-Rise by Intergulf Development! Incredible Amenities, Location & Interior Finishes! « From Mid $200’s > South Main Vancouver’s FOCAL on Main Condos Now Selling at Main & 7th Ave > Boutique 9 Storey Mid-Rise with Striking Architecture! Unprecedented value starting from $260,900, the new Burnaby Park Metrotown condo tower is coming Summer 2014! Naturally intelligent, this downtown Metrotown oasis is simply stunning in many ways. This is what you have been waiting for! Intelligently designed homes with stunning interiors, unbeatable world class views and amazing on-site amenities. This is The Park Metrotown Burnaby condo high-rise where home owners will be just seconds away from Bonsor Park and Metropolis at Metrotown. Experience an oasis in the heart of Downtown Metrotown Burnaby real estate district today from just the low $200’s. All from a developer with decades of experience creating Vancouver’s most sought after communities in Intergulf Development Group. Coming soon so please register your interest online at www.theparkmetrotown.com! Metrotown’s smartest homes. Unprecedented value. Located steps from Bonsor Park and Metropolis at Metrotown, The Park Metrotown will redefine home ownership economics, featuring world class amenities, breakthrough home planning, stunning interior design, and unbeatable views. The parkside location in the heart of Metrotown Burnaby will redefine affordable living, featuring state-of-the-art home technology, world class amenities, stunning interior design by Christina Oberti, and unbeatable views. The Park Metrotown Burnaby Condo Discovery Centre will be coming soon. Please note that The Park Metrotown will feature both single level residences as well as multi-level townhomes for sale this Summer 2014. 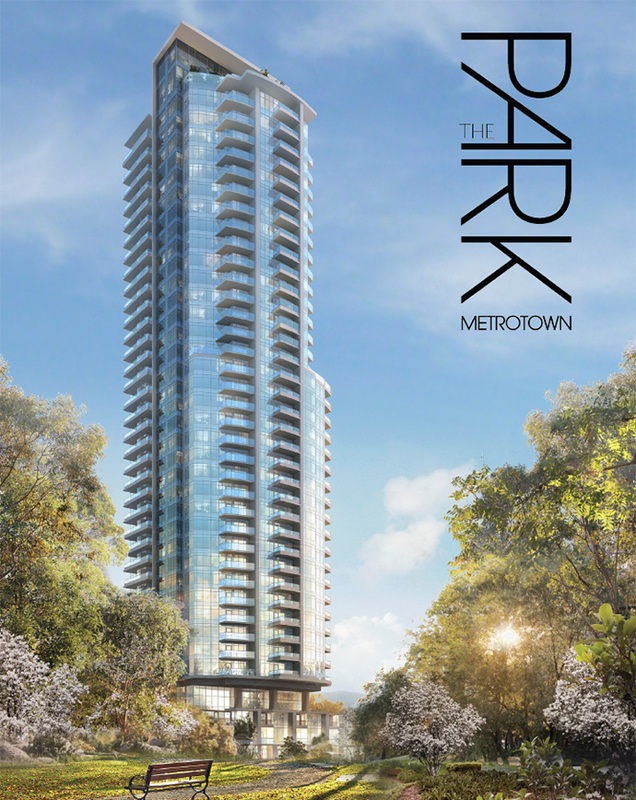 The exceptional project that is The Park Metrotown high-rise condos is coming in Summer 2014. The project location is impeccable, as home owners will be able to experience living in the centre of a truly vibrant community whilst being just 5 minutes away from Deer Lake Park, 15 minutes to downtown Vancouver and only 10 minutes to Richmond! Other highlights around The Park Metrotown Burnaby condos includes Central Boulevard, Maywood Park, Burnaby Civic Square and Old Orchard Park. In addition to all of the shopping and dining located at Metrotown and Metropolis at Metrotown, The Park Burnaby condos will also be very close to big box retailers, local services, top ranked schools and of course, major thoroughfares. For public transit, home owners will be just steps away from numerous Burnaby SkyTrain Stations and bus depots that will get you on your way to anywhere in the Lower Mainland within minutes. As well, the views from most levels at The Park Metrotown Burnaby condos will be exceptional (in every direction). The spa inspired amenities on the main floor of The Park Metrotown real estate development will feature a grand sense of arrival with a Porte Cochere, exterior water feature and a four storey high entrance lobby. 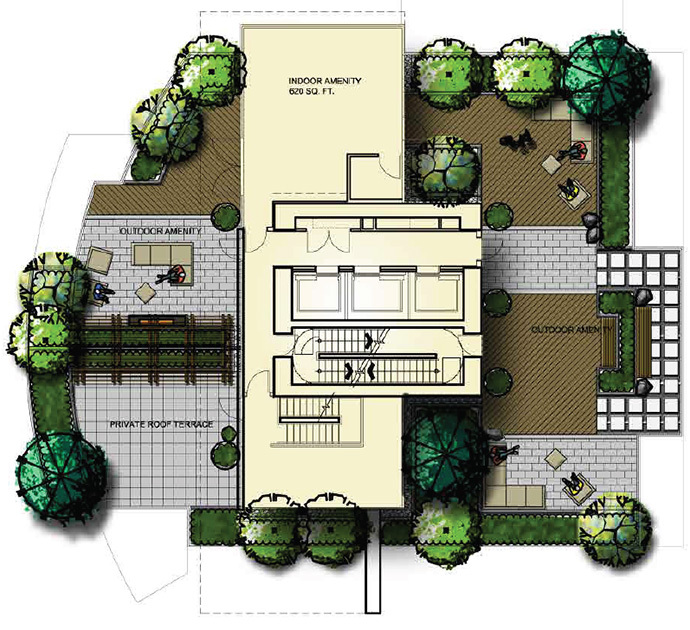 There is a Meditation Terrace, private manicured lawns with comfortable outdoor seating and a BBQ Area. In addition, some other on-site amenities at the Burnaby Park Metrotown condo tower will include a private dining room and kitchen in addition to The Park Metrotown Wellness Centre which is expansive to say the very least. Here you will find European Spa baths, steam room and change rooms. The rooftop deck amenities on the 43rd floor of this landmark Metrotown condo tower will feature expansive views in every direction including Downtown Vancouver, the North Shore mountain range, SFU and Mount Baker. In addition, the on-site amenities on this roof top floor will include a landscaped North West Tai Chi Terrace, a north east lounge which will be ideal for morning yoga sessions in addition to an indoor glass feature yoga meditation lounge with a small kitchen. The outdoor amenity areas will be a great place to simply relax and read a book as well. Please remember that the following floor plans are only draft layouts that are subject to change at any time by the developer. 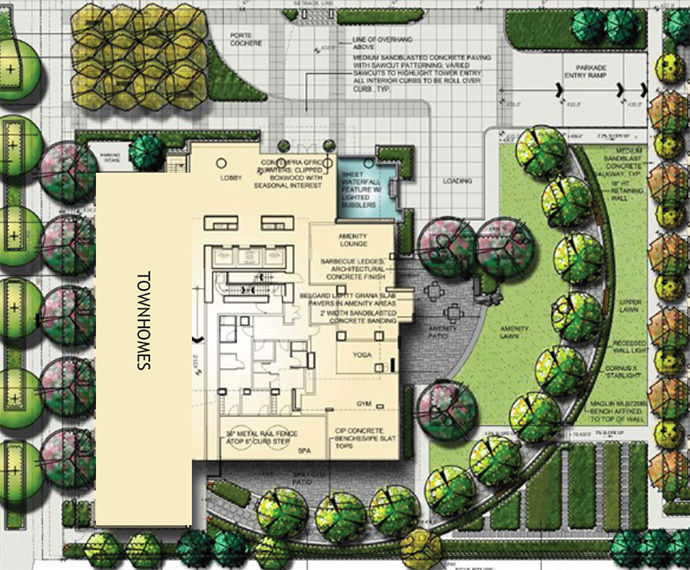 There is a wide array of available Park Metrotown floor plans that are not listed below, so please make sure you register online for more information as they are released by the developer. Once the sales centre/discover centre is open, you will also be able to speak with a sales rep regarding availability, floor plans and price points during the presale phase. 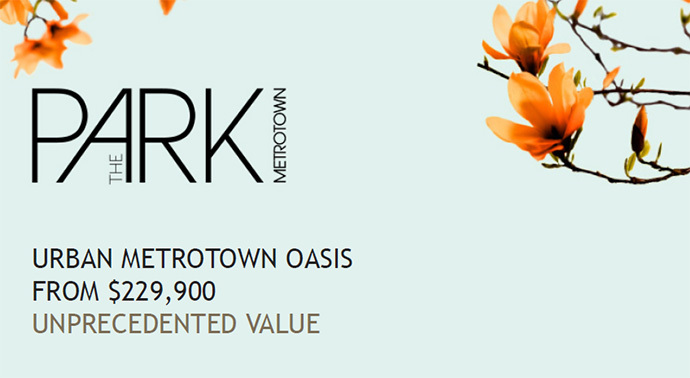 The Park Metrotown is an urban oasis with affordable living starting from just $229,900. Unprecedented value awaits this Summer 2014! Register your interest online today!